With Memorial Day behind us, summer is officially here and that means for many of us, the next few months will be jam-packed full of festivals, cookouts, beach days and sporting activities through Labor Day weekend. Graduations, vacations, weddings, engagements, parties and household moves are also more likely to take place during the summertime. All of these added "leisure" activities we cram into our Midwestern summer can lead to some seriously unexpected stress and social fatigue. Time and money can sometimes seem to be in short supply during the summer months and as many of us in the NAMI community know very well, a brewing mental health crisis can have a timeline of its' very own. Practice Saying "No"-Many of us feel obligated to say "yes" to every single invitation we receive from family and friends during the summer months. This can easily lead to social burn-out. It is perfectly okay to politely pass up an invitation or excuse yourself early from an all-day event to engage in a little self-care. Take Care of Your Body and Mind-Self-care involves everything you put into your body. During stressful times, it becomes even more critical to eat well and stay hydrated. Use your downtime to slowly introduce healthier foods into your diet and increase your water intake. During the summer months, we may be more likely to indulge in not-so-healthy food and beverage options. Stay away from sugar, salt, caffeine and alcohol. You will feel the difference! Schedule and Keep Those Appointments!-When is the last time you saw your primary care doctor for a check-up? What about your therapist or psychiatrist? Have you booked a massage lately? Use your "self-care summer" as an opportunity to get back on track with key appointments and report symptoms that may have gone unnoticed to your providers. Get Some Sunlight-Although sunburn is no joke, brief periods of sun exposure can have many long-lasting and beneficial effects on a person's physical and mental well-being. Go for a walk, a family bike-ride, invite a few friends to play an outdoor sport, take your lunch outside or find a relaxing spot to read. If you do not have access to a backyard or green-space at work, find a local forest preserve. Cook County is home to 68,000 acres of lush forest preserves, the largest in the United States! Plan Time to Rest and Recuperate-Listen to your body. It is unbelievably easy to overload an already hectic schedule during the summer months.Too often, this can mean consecutive long days of non-stop social activities. While planning fun times with family friends, be sure to schedule some time for you. Plan a midday nap or a break-time to decompress on those hectic days to keep yourself mentally and physically fresh and recharged. Keep up Your (Healthy) Routines-Continue your exercise program. Go to or facilitate a group. Meet up with that supportive person. Limit social media usage. Do not ditch your self-care routines because the summertime is here. Summer is the perfect time to put those routines to the test and kick some of your less healthy habits to the curb. Practice Gratitude-At the end of the day, spend some time reflecting and write down three good things that happened. Practice showing appreciation towards and sharing genuine compliments with others. Write down your happiest moments from Summer 2018 and store them in a place you can go back at some point in the future. It is all too easy during the summer months to feel like everyone else is having an "exciting" summer and discount meaningful experiences that have passed. These are just a few of the "self-care strategies" which will ensure that you and your loved ones have a healthy, happy summer. If implementing a "self-care" routine seems a little overwhelming at first, choose 3 things that you can do each week and write them down or share them with people you love! "Self-care" is something each of us can practice to increase our overall physical and mental well-being. 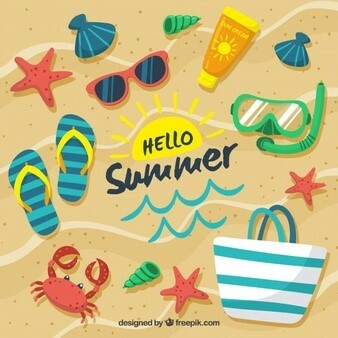 NAMI Metro-Suburban wishes you a happy and healthy Summer 2018!